This nonprofit was started by US Bureau of Land Management employees who became disillusioned by upper level management decisions, in tolerating and even facilitating the routine and illegal removal of mustangs from publicly owned land. 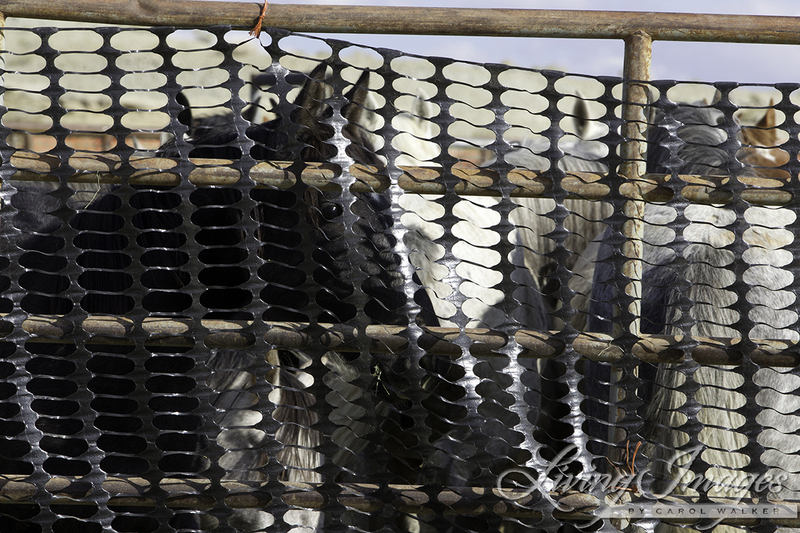 Many of these wild horses were sent to slaughter. Now alerted to the problem, investigative media began researching the problem. They discovered that Washington lobbyists, working on behalf of the cattle industry, wanted to ensure publicly owned BLM-managed land would be used exclusively for cattle grazing. Cattle ranchers considered mustangs to be a “nuisance.” To gain access to more forage, ranchers insisted federal agencies “remove” the mustangs. With media involvement, the mustang slaughter scandal became nationwide news. As a result, hundreds of nonprofit horse protection advocates and rescue ranches began forming across America. These groups demanded an end to the slaughter of mustangs. The BLM is located within the US Department of Interior. The US Forest Service is housed within the US Department of Agriculture. Both are within, and supervised by cabinet level secretaries, appointed by the president and confirmed by the US Senate. With widespread knowledge of this ongoing corruption, all presidents since 1997 (Bill Clinton, George W. Bush, Barack Obama and now, Donald Trump) have permitted this brutal and illegal horse slaughter to continue in violation of the Wild and Free Horses and Burros Act of 1971. The legislative authority with oversight over BLM and US Forest Service abuses is the Natural Resources Committee within the House of Representatives. Even after 18 years of media investigation and public commentary on this issue, further examination was warranted. In October, 2015, the investigative journal ProPublica published an article entitled “Missing: What happened to the wild horses Tom Davis bought from the government?” This article described how “kill buyers” operate to purchase mustangs from BLM and US Forest Service round-ups; and detailed the process whereby horses are shipped to slaughterhouses in Canada and Mexico. Because of decades of continued influence from cattle industry lobbyists, thousands of mustangs remain subjected to BLM and US Forest Service annual round-ups. Few are adopted out. Others are shipped to cramped holding pens (where they sit for years at taxpayers’ expense), never adopted or set free. Their ending is obvious. And many others continue to be illegally transported in large double decker stock trailers to out-of-country slaughterhouses; or live air-shipped to Japan, where they are then slaughtered. It is only through the hard work of a national network of nonprofit horse protection groups and rescues that the public has gained an increasing awareness and insight into this widespread corruption. These groups, along with intermittent, but intensive media investigation, have exposed our government’s long-term disregard for wild mustangs and federal law. On Nov. 10, 2018, Lake County News published a letter from California Attorney General Xavier Becerra to the US Department of Agriculture (US Forest Service). He stated the US Forest Service roundup of 1,000 mustangs on Oct. 10, 2018, in Modoc County, Calif., was in violation of California law, if such mustangs will be sold under “unconditional” sales agreements. To be clear, California law allows mustangs in our state, to be adopted out, after round-ups. However, it does not allow horses to be sold under an “unconditional” sales arrangement. 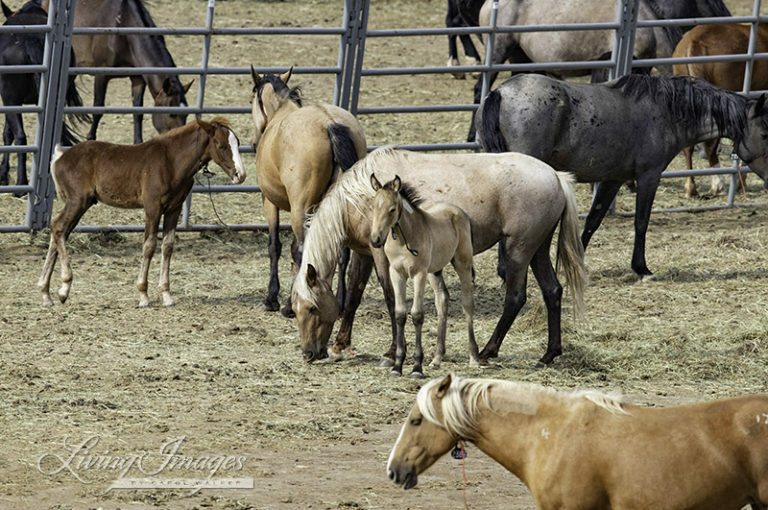 And the US Department of Agriculture has already provided notice and their intention, that all mustangs rounded up in Modoc County, not adopted by Jan. 10, 2019, will be sold under “unconditional” sales contracts. After this date, all unadopted horses will be sold for $1 per mustang. Based on prior histories of government roundups, these horses will be sold to “mysterious” buyers, who appear with large stock trailers. The chances of these horses being shipped to slaughter are almost 100 percent. Well-intentioned BLM whistleblowers have not stopped the slaughter. Even years of media investigative reporting, which has chronicled widespread abuses, have not stopped the slaughter. Countless nationwide horse protection and advocacy groups, who have mobilized to assist in adoption, have demanded an end to slaughter. And to date, the state of California continues in its determination to stop this institutionalized cruelty. While all these efforts have created a public outrage, they simply have: Not. Stopped. Horse. Slaughter. Therefore, I am requesting all people who care about animals, and mustangs, in particular, to address this appalling abuse of federal government authority by contacting your elected officials: Rep. Jared Huffman (CA-2); or Rep. Mike Thompson (CA-5); or Rep. John Garamendi (CA-3). Demand a full, open and immediate Congressional House Investigation into all undertakings related to BLM / USFS round ups, adoption and mustang slaughter activities, on all lands publicly owned and managed by the federal government. Regardless of your congressional district, contact Rep. Jared Huffman (CA. 2), ranking member of the Natural Resources Committee. This Congressional Committee directly oversees all activities of the BLM and Forest Service. Firmly demand he use his constitutionally derived authority of oversight to investigate management abuses of mustangs on public lands. Contact California Attorney General Xavier Becerra, Gov. Jerry Brown and Gov.-elect Gavin Newsom and request they file an injunction and lawsuit, to prevent the involved federal agencies from initiating the “unconditional” sales contracts re: mustangs remaining in Modoc County after Jan. 10, 2019. Boycott beef. There are other sources of protein you can buy which do not support horse slaughter. Who will benefit: The American mustang, who will be allowed to remain free roaming and protected. Well, how about that? Really GOOD article & for once, tells it like it has been and IS! Boycotting beef will not make any dent in saving wild horses, since only a handful of beef producers raise their cattle through subsidies on public lands. By far the majority do not have (and never will get) public lands grazing permits but have to sell in a “free market” the same products without public subsidies. In addition, if US demand drops, the export demand will not, so this approach could worsen the mismanagement of our public lands even more. A better answer is to support private businesses using private lands, and the more locally raised the better. The power of the consumer can start to effect change by demanding origin labels, for example, asking retailers to provide this information or lose your business, and seeking out and supporting responsible local producers. 6. Plaintiff Wilson Ranches is a family-owned cattle ranch located in the Plateau area and headquartered in Alturas, California. Wilson Ranches is a general partnership owned by Bill and Carolyn Wilson. The ranch has been in operation in California for nine generations. Fifteen years ago, Wilson Ranches purchased a grazing permit in the Pine Springs Allotment for $150,000. The permit was to secure additional forage for Wilson Ranches’ herd. About 90% of the Pine Springs Allotments is within the DGWHT. Pine Springs Allotment was a 600-head permit at the time of purchase. Monitoring by defendants has revealed that the population of wild horses on the allotment is estimated to be 750% above the current upper limit of the AML. An estimated 261 wild horses forage in the allotment above the AML of 35, with the highest concentration and heaviest use in the northern 3/4th of the allotment. Wilson Ranches has been adversely affected by defendants’ failure to follow the TMP and failure to act to remove horses to achieve the AML. Wilson Ranches has consistently participated in grazing and wild horse management issues with the Modoc NF. 9. Plaintiff MS Ranch is a livestock ranch headquartered in Alturas, California. MS Ranch was bought by Green Valley Corporation in 2005 from the original owner, Robert Schulter. Green Valley Corporation continues to operate the ranch under the dba MS Ranch. The acquisition included the grazing permit for the Emigrant Springs Allotment. Approximately 95% of the allotment, including 7,632 acres of Bureau of Land Management (“BLM”) administered land, is within the DGWHT. MS ranch is managed by Mr. Jess Dancer. MS Ranch has also suffered damages to the range and structural improvements within its allotment. Wild horse overpopulation has degraded water sources, reduced forage, and caused growth of noxious and non-noxious weeds and thistles (including toxic plants), which displace the normal forage, degrades riparian areas, and displaces native and endangered species. During 2012 and 2013, wild horse overpopulation also destroyed fences and other improvements MS Ranch is required to replace. During 2014, disturbances within a fenced-in riparian area in the Emigrant Springs Allotment remained a large problem due to wild horse activity. Instead of jumping the fence as the horses had done previously, in the process of breaching the fences protecting the riparian area, the horses plowed through them and dragged away a quarter mile of fence. So THEN…the U.S. Forest Service turns the entire management of the Devil’s Garden Wild Horse Territory over to the MODOC FARM BUREAU. It should be called the Modoc Farm and Ranch Bureau. It’s hard to understand how this roundup could even be legal. Notice that the same names keep showing up. The was the creative force behind the development of Modoc County Farm Bureau’s Retired Worker Program which has been using Resource Advisory Committee funds, supplemented with matches from permittees, farm bureau and Modoc County to accomplish work on the Modoc National Forest that the Forest was not staffed or funded to complete. She was also the organizational mind that conceived developing the Wild Horse Territory Plan through the Retired Worker Program and along with ROB JEFFERS is responsible for its timely and efficient completion. This Plan was the essential first step in reducing the over population of wild horses. 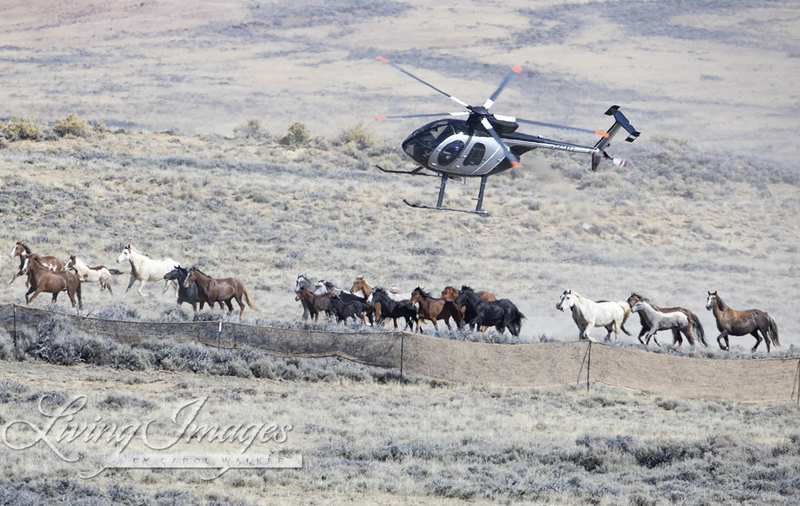 Though BLM admitted to most of the Jackson Mountains wild horses having snotty noses and respiratory illness when they arrived at Palomino Valley, what BLM definitely was not admitting too is, respiratory complications are one of the known detrimental effects of driving wild horses by helicopter. Wild horses have a history of often developing respiratory complications due to being driven for miles when they have not been conditioned for such endurance runs and by being forced to inhale large amounts of dust throughout the ordeal. management practices and abuses occurring in BLMs Wild Horse and Burro Program, they reported, “In the fall of 2006, the Palomino Valley, NV and Litchfield, CA holding facilities suffered from outbreaks of strangles, a highly infectious and serious respiratory disease. As for what happened to those involved in the Jackson Mountains tragedy? Nevada Wild Horse & Burro Lead SUSIE STOKKE and National Wild Horse & Burro Lead Dean Bolstad continue to serve in their respective positions. Cattoor Livestock Roundups, Inc., the gather contractor and crew that drove the Jackson Mountains wild horses, continues to receive multi-million dollar contracts to remove wild horses and burros from public lands, as they have done for BLM and other government agencies for over thirty years. How many could be euthanized during a gather without having NEPA? What is the criteria used during a gather to euthanize a horse is it age, and if so what age? How many could be euthanized at the preparation facility without causing a major change in the practice of disposal? What would be the criteria for euthanizing at the midpoint and adoption facilities? Would you contract disposal of the carcasses at gather sites? Have a euthanasia and disposal contract? Have a contract to sell horses at the gather site? Are we euthanizing horses to save money to complete gathers? Save our horses now and forever. Why is this barbaric practice allowed. If these animals were left alone, you wouldn’t have had pigeon fever. Why put them down, pigeon fever can be treated. In my book, the BLM and the Forestry Service are the biggest threat to our wild horses and burro’s. These animals have roamed free in these areas for 100’s of years. They never needed human interference. It’s time the BLM and the Forestry Service get out. Leave these beautiful horses and burro’s alone.